2 Labeling Solutions for Warehouse Inventory Location Flexibility | ID Label Inc.
E-commerce sales and omni-channel fulfillment operations have led to a huge increase in SKUs and inventory volumes in warehouses and distribution centers across North America. This explosion may be putting pressure on your product inventory and location management processes. Rack relabeling is becoming a more frequent activity within these operations, whether driven by product inventory fluctuations, pick location changes, an upgrade to your warehouse management system or a customer change for a third-party logistics fulfillment provider. “We’re seeing growing demand for barcode labeling solutions that can accommodate our customers’ needs for inventory location flexibility,” Regner said. He recommended two ID Label products for companies that desire greater labeling flexibility. 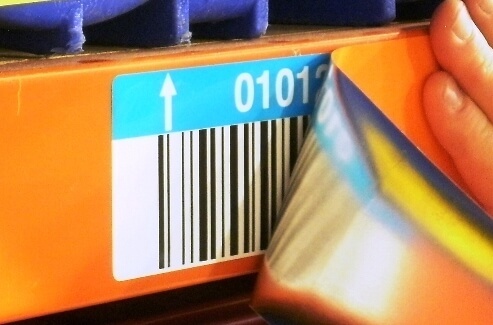 In existing facilities, dealing with in-place barcode labels on the beam faces is a challenge. Applying basic paper barcode labels on top of the existing ones is not a recommended option – and certainly not a long-term solution. Not only is this aesthetically unattractive, if there’s any show-through or an uneven surface beneath the new label, it can lead to scan errors and lost productivity. With Beam Renew’s quick-release laminate top coating, it’s easy to relabel your racks the next time you need to accommodate changes in your product inventory. For new racking systems, consider starting with a preprinted, repositionable barcode label. 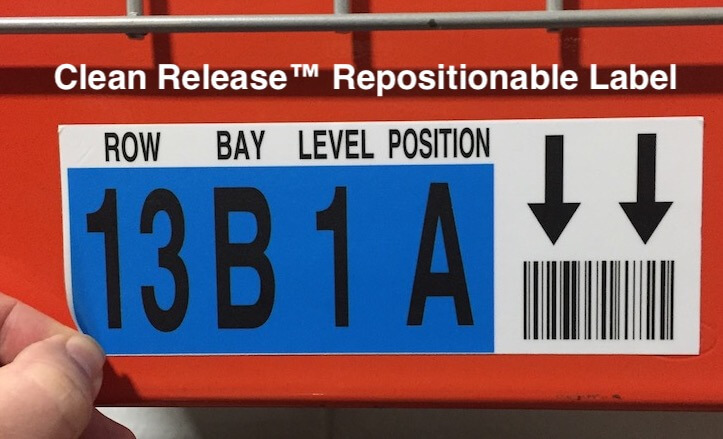 A removable/repositionable label makes it easy to relabel rack locations in the future. They are simple to install and offer inventory location flexibility, without any need for scraping or cleaning to remove them. As with other ID Label products, Clean Release labels can be custom manufactured in a variety of sizes and materials with multicolor designs. These are two viable, cost-effective solutions for operations seeing growth in their volume of SKUs and experiencing frequent changes to pick locations and inventory locations as a result. “Other options like magnetic barcode labels are also worth considering, especially for cooler or freezer storage environments,” Regner said. 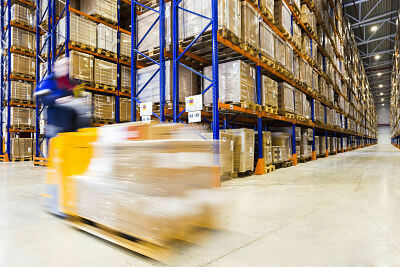 It’s clear that demand for faster merchandise delivery, fueled by e-commerce, is redefining how the supply chain distributes consumer goods and products — and how warehouses and DCs must operate. To discuss your requirements or request label samples for testing, contact us today.